SKU: 24HSB100E. Categories: Under €100, Hair Essentials. Tags: babyliss, brush, curly, french, hair, ionic, malta, straightener. The rigid plastic external comb will gently comb your hair without damaging it or pulling it. 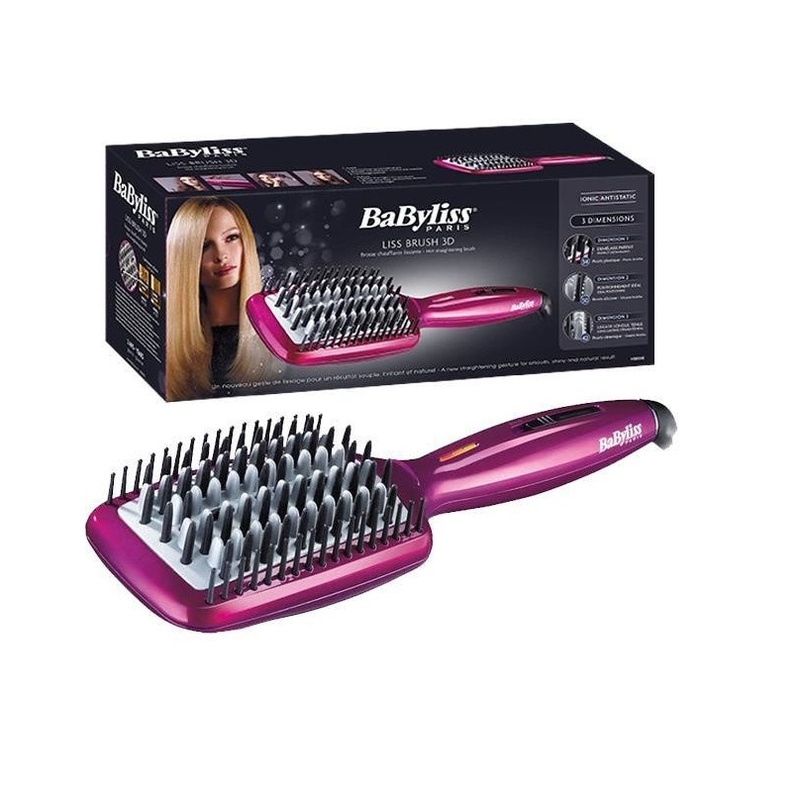 For more efficiency, the silicone bristles position the hair just closer to heating element without grabbing it. 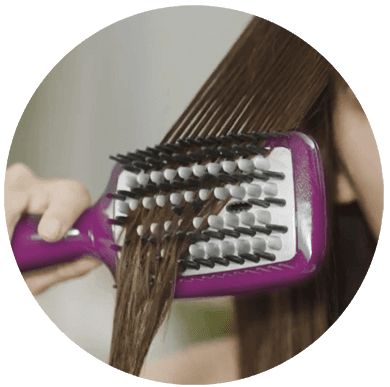 The ceramic heating system allows homogeneous heat distribution for flawless straightening. The adjustable temperature LED indicator 160°C, 180°C and 200°C is suitable for all hair types. Thanks to the rectangular design, the straightening is quicker and more efficient than with an oval brush. 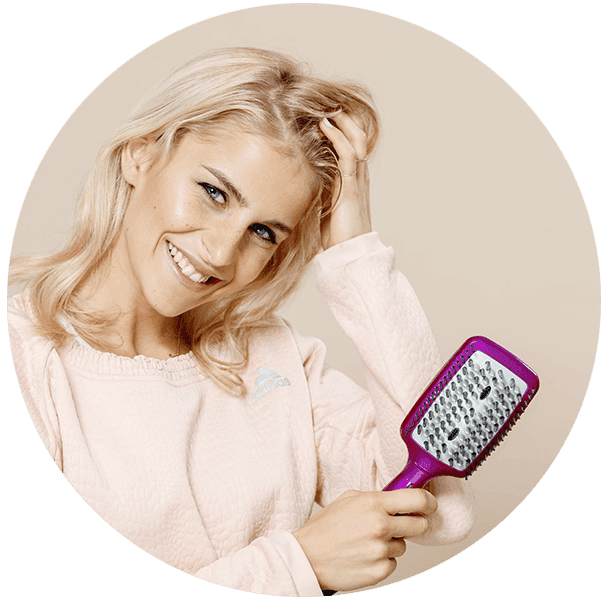 Ions generators will eliminates static electricity, and make your hair shiny without frizz. 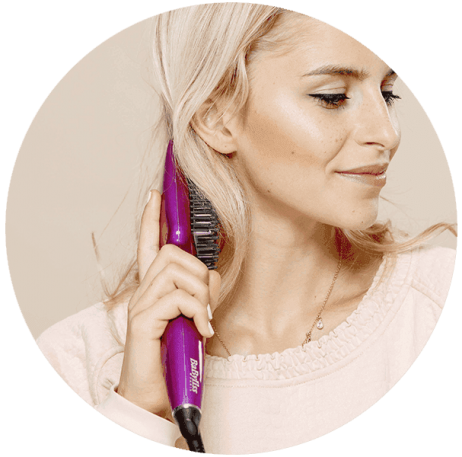 Straightening has never been so easy !